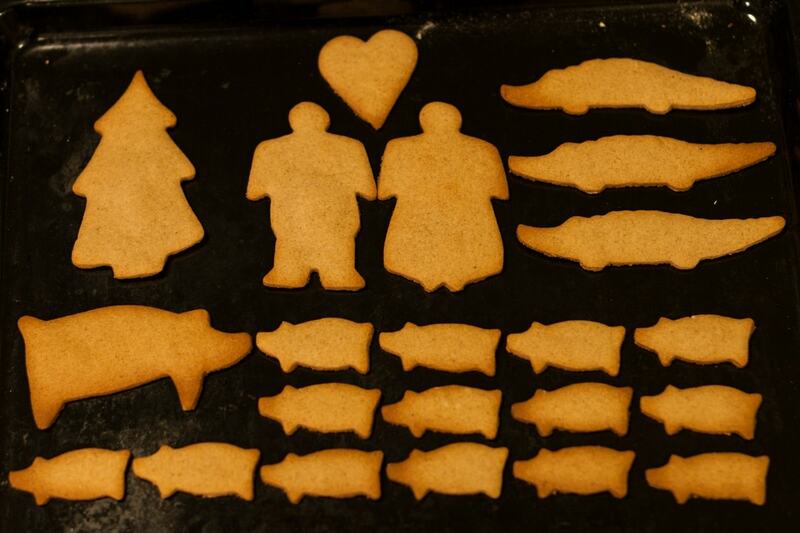 Gingerbread cookies may not be a big deal in Italy, but no Swedish Christmas is complete without them. 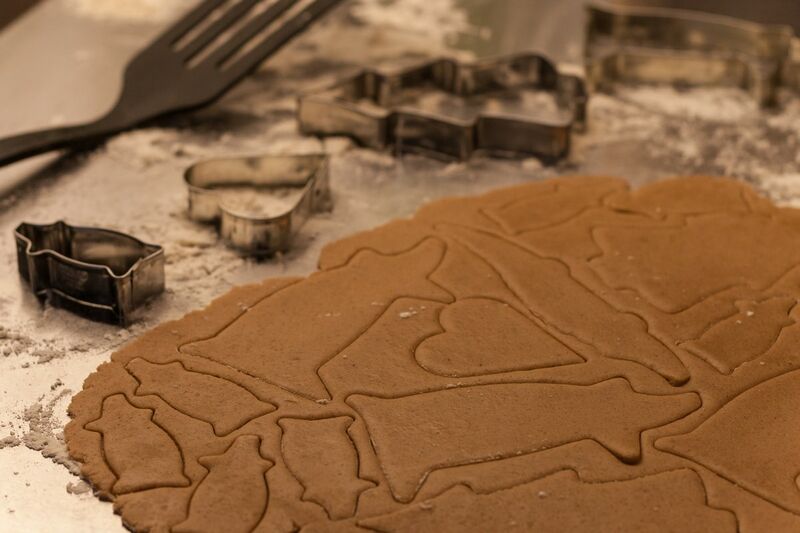 Baking gingerbread men plays a huge part in the building up of the Christmas spirit to many Swedes and it is one of the most typical activities parents entertain their children with during advent. Gingerbread cookies in Sweden are known as pepparkakor and I used to buy them every Advent ever since Ikea opened in my area. Many Swedish families have their own secret recipes, while others just prefer to buy pre-made dough, but all Swedish houses at some point in December smell like pepparkakor baking in the oven. 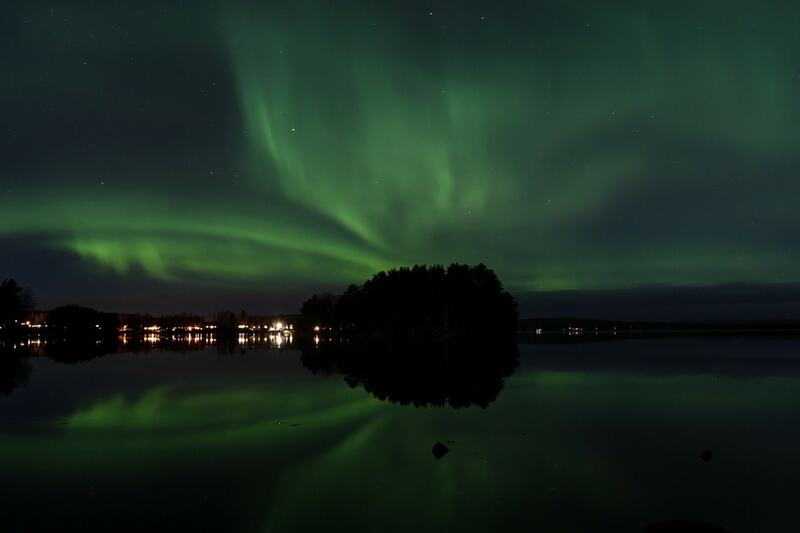 Outside of Sweden, these traditional ginger thins can be bought at any IKEA store, neatly sold in colourful tin cans. For many years, the smell and taste of IKEA gingerbread cookies was the closest glimpse I could get of a Swedish Christmas. Now that I live in Sweden I had to find my own recipe. And I did. I wanted something that could possibly be as allergy-free as possible. It’s not fun to offer your guests sweets only to find out that there is something in them they can’t eat. So I decided that my Christmas cookies should feature neither eggs nor butter. I also tried to make them with gluten free flour and the recipe worked out equally fine. In one bowl cobine the flour, baking powder and spices. In another bowl cream sugar and margarine with an electric mixer. When combined, beat in 90 g of syrup – here in Sweden there is this sugar “light syrup” that is quite popular and easy to find in supermarkets. Alternatively, liquid honey will work equally well. Sift the flour mixture into the other bowl and mix it again, at low speed, until the dough can be worked with the hands. Gather it into a ball, wrap it in plastic film and chill it in the freezer for about 10 minutes. If the mixture is too dry (might happen if using gluten free flour), mix in about 2 tbsp of cold water. After chilling them, roll out the dough over a little layer of flour and cut out the cookies. I try to make them as thin as IKEA pepparkakor. Set cookies on an oven tray lined with a sheet of baking paper and bake at 190°C for about 7-8 minutes. Remove the cookies immediately from the hot oven tray as soon as they come out of the oven and let them air dry for about half an hour – they will become really crispy. 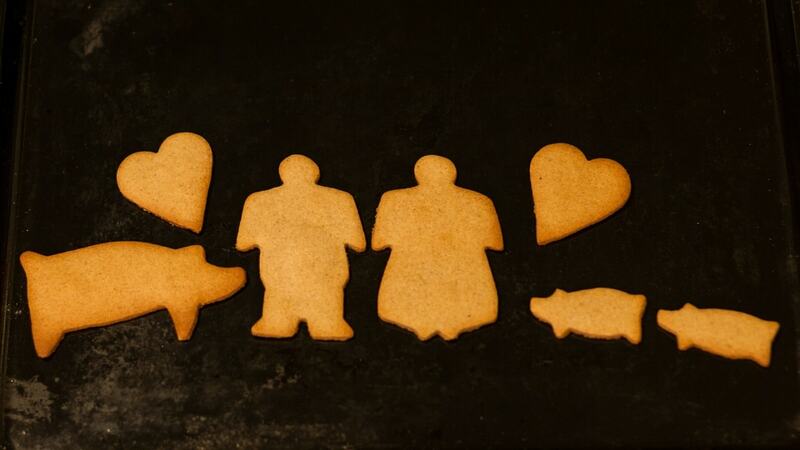 Something new I learned this year is that Swedish cookie cutters traditionally come in the shape of a little man, a little woman, a heart, a pig and a goat. I bought mine at a second hand shop and the goat was missing from the set, but then I bought an extra pig cutter in a different size just because I thought it was extremely cute. And I also got a Christmas tree because it’s Christmas after all, and also a crocodile because why not. The little gingerbread man rose a bit in its middle section while in the oven, so it came out with quite a big belly. My guess is that that cookie is a pregnant woman wearing trousers, really. And I was so enthusiastic about my piglet cutter that I mosly made little pigs. 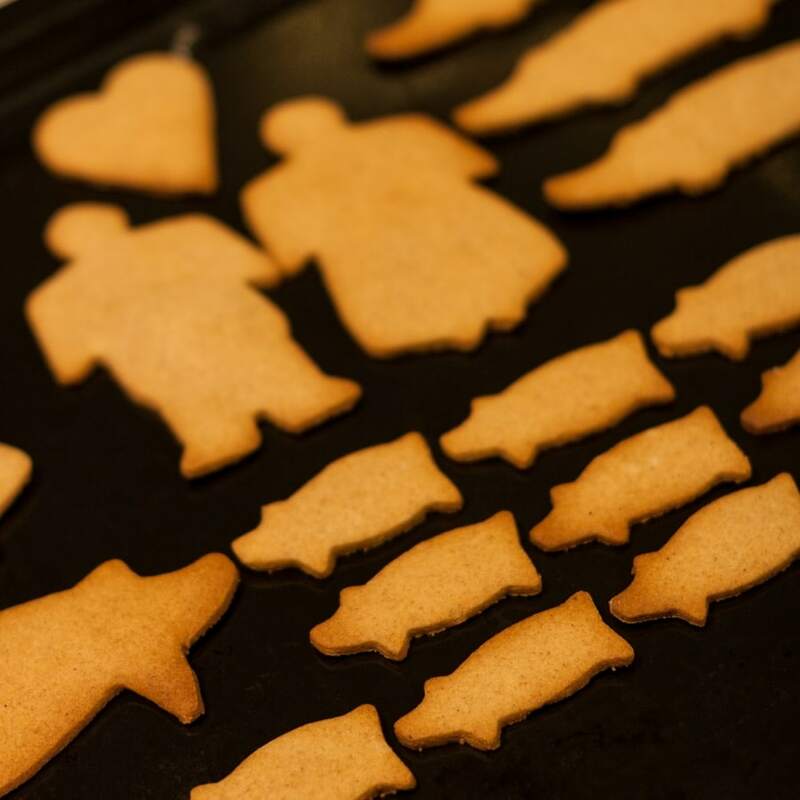 Little cookie pigs that truly love little cookie humans. For once I didn’t bother decorating, as I don’t really like icing on gingerbread cookies. Maybe I’m just too used to eating my IKEA gingerbread thins straight out of their metal box that I never really got to eat them iced. I just like them bare. People who have their family recipes may be critical of my choice to use margarine instead of butter, but I must admit that besides trying to be allergy-aware, I consciously picked margarine over butter because it’s more neutral in taste. Don’t get me wrong, butter is still one of my favourite ingredients, but sometimes its taste is so distinctive it overshadows other flavours. What I really like about these cookies is that peculiar taste of light syrup paired with the whole array of spices, so the best fat in this recipe is one that plays its part while nicely staying in the background. Butter would have too much personality here, so margarine is definitely the winner in this case. 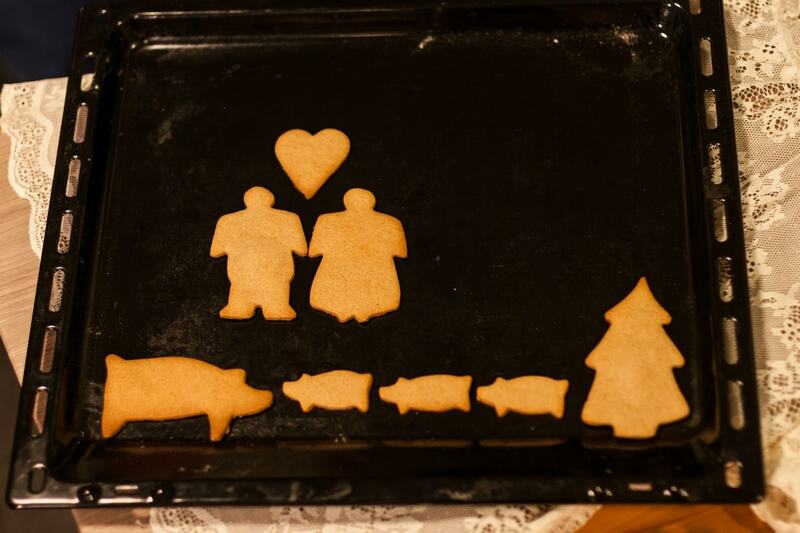 Pig & goat shaped biscuits on the Christmas day are sweet. I guess they traditionally farm them but “alligator”? 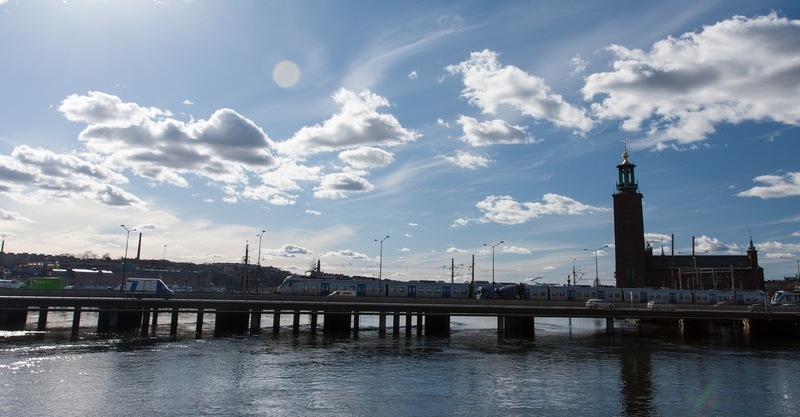 in Sweden??? That is beyond my imagination? !